By maintaining eye contact with another brewery worker in this third photograph, I felt I was able to bring the viewer into the series and make them feel like they we’re entering the brewery. The open door to the brewery also backed this up and signalled the brewery was open. As a document, the photograph mainly shows the shape of the brewery building and its features but by including the brewery worker extra detail is conveyed in the from of an environmental portrait, giving some insight into how one of the brewery workers is involved. In this photograph I endeavoured to get as clear a shot of the brewery exterior as possible but there were a lot of cars parked nearby so this was the best angle I could manage. I was pleased with the outcome but ideally it would have more closely resembled the logo for the brewery; just visible on the sign to the right of the frame indicating the brewery was again open. 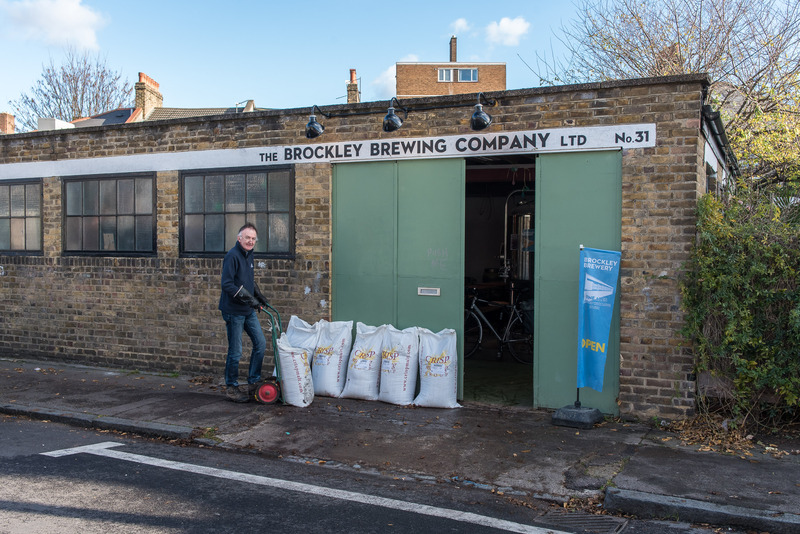 However, the photograph in my eyes was nicely composed with the placement of the brewery worker for the environmental portrait and all the components of the exterior of the brewery were clearly visible. f/8, 1/200s, ISO 320, focal length 35mm, handheld.